If you are a college-bound student and a resident of Washington state, you have your very own set of financial aid options to choose from in paying for your degree. Below are a number of loan options that originate from both the public and the private sector. If you are searching to supplement your financial aid package with low-interest loans, you may explore low-cost federal loan options available through the Northwest Education Loan Association (NELA). This state-sanctioned agency is the official loan guarantor for another government program, the Federal Family Education Loan Program (FFELP). With their comprehensive website and helpful articles through the Center for Student Success, NELA should be a major resource for any student in the Pacific Northwest looking for the most savvy loans. If you are looking for private, or alternative, loans, you also have a number of state-specific options to turn to, as well. Private student loan solutions come to Washington students through organizations such as BECU, Sallie Mae Smart Options, Discover Bank, PNC Bank, and Wells Fargo. 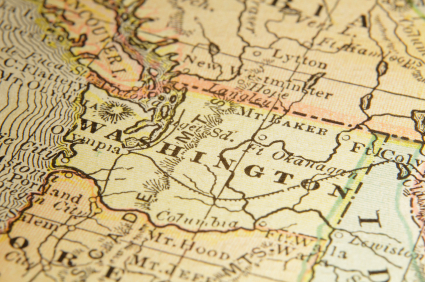 Through all of these independent institutions you’ll find low-interest affordable alternative loans and revenue bonds specifically designed for students and available to those studying in Washington. Notably, the Washington Student Loan Finance Association, simply known as the SLFA, is now financed by Wells Fargo and is a subsidiary of Sallie Mae, one of the most prominent private student lenders in the country. Instead of going through the SLFA, you may now go directly through the Wells Fargo collegiate student loan division or the Sallie Mae Smart Options loan plan mentioned above to access these opportunities. Some other Washington state banks or other local financial institutions may also have private loan programs available to students, so be sure to check with your community branch or credit union to see their options. You can talk to your school, a financial adviser, or your family to determine if a federal or alternative loan – or some combination of the two – is the right choice for your financial aid package. To explore these types of private loans in Washington, students may opt to apply for one of the loans listed above through various national and Washington state banks or lenders, such as Sallie Mae. These loans are low-cost alternative borrowing options tailor-made for college students. Do your research through each particular organization to decide which combination of interest rates, repayment terms, and borrower incentives make the right loan for you. Once you have begun your journey into student loans and are ready to apply for monies toward your education in Washington, you will need to first understand a little about the process of student borrowing and payment before you get started. Undergraduate and graduate students attending college at least part-time are eligible to apply for most of these private loans. These loans usually serve to fill in the cracks that federal loans or scholarships did not pay for, so of course, students must already have their federal loans secured before applying for these additional monies. This way, applicants already know how much they may need to borrow to cover the outstanding balance of tuition. If you are considering applying on your own you will usually need to submit to a credit check. You must have a certain level of credit established as well as a low debt-to-credit ratio. Some lenders do not require you to prove an income since you are not required to make payments on any part of the loan until after graduation. But if you don’t have great credit, and still want to apply, you may be able to use a co-borrower and get the loan in that way. If you don’t qualify on your own merit, don’t worry. You are not alone. According to many financial aid experts, almost half of all college students must use a co-borrower in order to qualify for private, alternative loans. Your co-borrower may be a parent, relative or trusted friend. It’s very important that you both understand the terms of the loan before you sign on any dotted lines, and are comfortable entering into a financial contract together. If you default, your co-borrower becomes responsible for your irresponsibility, and that does not make for a happy home or a good friendship. But before it comes down to defaulting, you should consider consolidation first, as there are fewer ways to get out of defaulted loans than into them. Most undergraduate and graduate students have more than one student loan and probably a good chunk of credit card debt mounting up. This is not an enjoyable situation, especially when you are just starting out in the job market and lack the stability of a dependable salary. The good news is that, with most loan servicing companies, loan repayments don’t begin until you’re at least 6 months post-graduation. While this grace period has become quite commonplace, it nevertheless often still falls short of providing the amount of time a graduate needs to really get their financial feet underneath them and start paying off their debt. This is where consolidation comes to play a part. Consolidation loans are a very standard loan product, especially these days when college students often emerge from graduation with a lifetime worth of education debt. So before you default on student loans, which can destroy your credit and send you down the path of dealing with debt far longer than is necessary, you should explore your options for consolidating your loans into one monthly payment. When you consolidate, provided you have enough of a financial burden and you meet the rest of the lender’s individual qualification requirements, you refinance your loans through your lender. Your lender will literally then pay them off for you, but the process does not stop here. The money still must transfer from you to your lender, so your lender finances one final new loan. This new loan will be smaller, but the repayment periods are extended and the interest is lowered to make it possible for you to cut payments exponentially each month. Consolidation can make a huge difference to those who do not have a steady job straight after graduation and those who would be swimming in debt otherwise. Lenders are in the business to help you succeed with loan repayment since it benefits both you and them when a payment is completed, so be sure to take advantage of the options for repayment that they may have to offer. Students, especially, should take care to pay close attention to the personal advice of their lender or financial institution, since this is usually their first experience in the world of borrowing. With the help of the NELA Center for Student Success and the financial resources of private lenders and banks available to you, you should be able to navigate well through your collegiate foray into alternative student loans until you receive your degree in the state of Washington and are eventually debt-free.